Winner of the NSSA Southwest contest at Church over the weekend, Dana Point’s Bethany Zelasko rallied in the small, autumn conditions to overtake a talented pack in the final and put herself atop the podium. 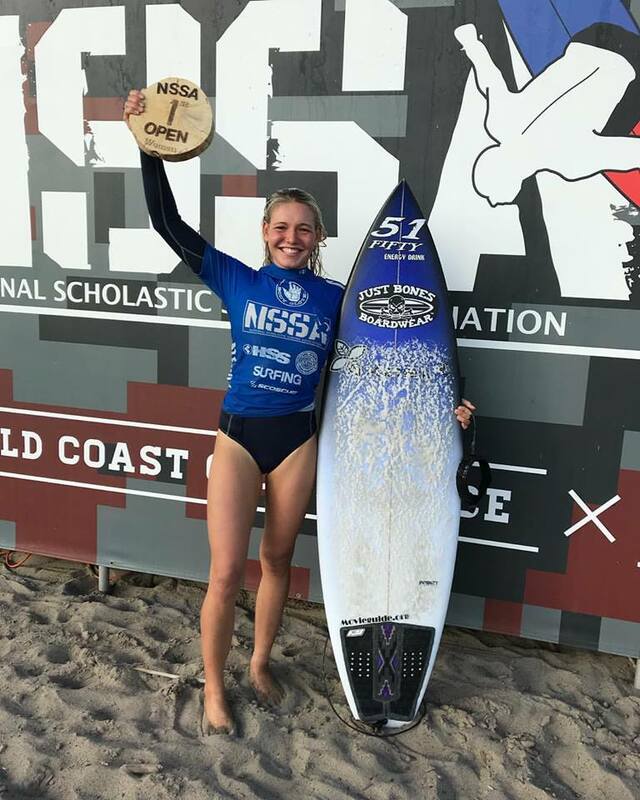 A standout with the Dana Hills High School surf program, Zelasko first started surfing when she was 12 years old, and now at 17 years old, she already owns multiple state titles. She’s had a big month. Most recently was her big NSSA win, and prior to that in early October she travelled to Tofino, Canada, and came away with a convincing victory at the Queen of the Peak contest. Zelasko appears to be on a bit of a roll these days. Don’t be surprised if you see her on top of a few more podiums before 2017 comes to a close.